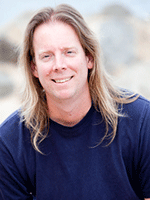 Dorian S. Houser, Ph.D., directs the Foundation’s Conservation and Biological Research Program. This program strives to understand the overall biology of marine mammals with the goal of improving species conservation. A focus of the program is to determine the potential for humans to impact marine mammals, particularly with respect to sound producing activities. Dorian has worked with the Navy’s marine mammal population since 1995 and he joined the National Marine Mammal Foundation in 2010. 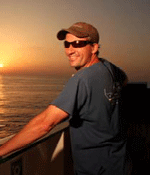 His interests include the diving, auditory and metabolic physiology of marine mammals and their use of bioacoustics. He is the recipient of the R. Bruce Lindsay Award from the Acoustical Society of America and is an adjunct professor at Sonoma State University. Dr. Brandon Southall is President and Senior Scientist for Southall Environmental Associates (SEA), Inc. based in Santa Cruz, CA, a Research Associate with the University of California, Santa Cruz (UCSC), and an Adjunct Assistant Professor at Duke University. He obtained Masters and Ph.D. degrees from UCSC, studying communication and hearing in seals and sea lions. Dr. Southall subsequently directed the U.S. National Oceanic and Atmospheric Administration (NOAA) Ocean Acoustics Program, within the National Marine Fisheries Service, Office of Science and Technology. Dr. Southall later founded SEA, a research and consulting small business conducting and applying science to support conservation management and environmentally-responsible development primarily (see: www.sea-inc.net). Brandon has an extensive technical background in leading both basic and applied laboratory and field research programs as well as applying science in national and international policies. The largest such effort has involved his serving as the chief scientist for a major multi-institutional behavioral response study supported by the U.S. Navy to study marine mammal responses to military sonar systems (www.socal-brs.org). He also serves as a technical advisor to international corporations and environmental organizations regarding the impacts of conventional and alternative offshore energy development and commercial shipping. He has published over 70 peer-reviewed scientific papers and technical reports, and has given hundreds of presentations on related subjects to scientific, regulatory, Congressional, and general public audiences around the world. Please note: This DOSITS Webinar recording has some audio sections where the there is a lot of echo.